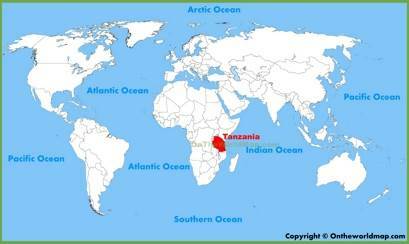 Tanzania is officially named the United Republic of Tanzania which is a country based in East Africa within the African Great Lake region. 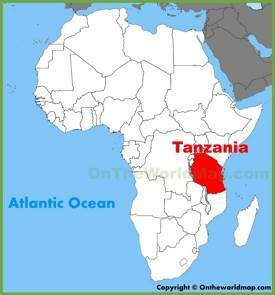 Tanganyika was the name of the country before it united with Zanzibar to form Tanzania. 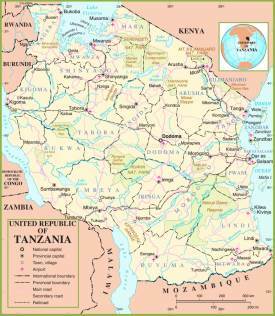 The country is bordered by Kenya and Uganda to the north; Burundi, Rwanda, and the Democratic Republic of the Congo to the West; and Malawi, Mozambique and Zambia to the south. The country is surrounded by Indian Ocean to the east. 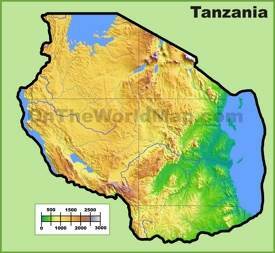 Tanzania has the highest mountain in Africa, which is called Kilimanjaro. 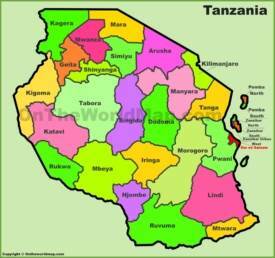 The level of poverty in Tanzania is high. 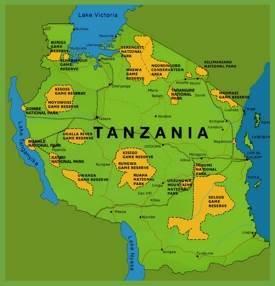 Many tourists visit Tanzania every year. It is a great place for holiday. One of the most popular attractions is National Parks. 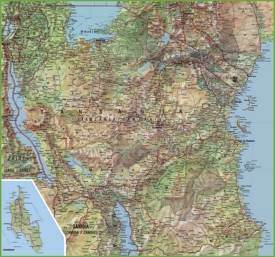 Area: 365,756 sq mi (947,303 sq km). 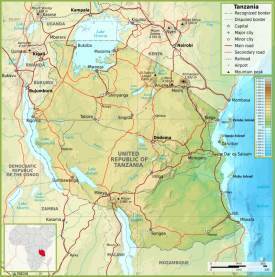 Largest cities: Dar es Salaam, Mwanza, Arusha, Dodoma, Mbeya, Morogoro.